First Steps In Publishing. ~ The Blog Doctor. You are here: Home > Create Blog > First Steps In Publishing. 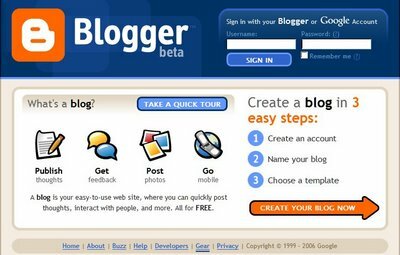 http://beta.blogger.com/home OR http://www2.blogger.com/home and create an account which is free. 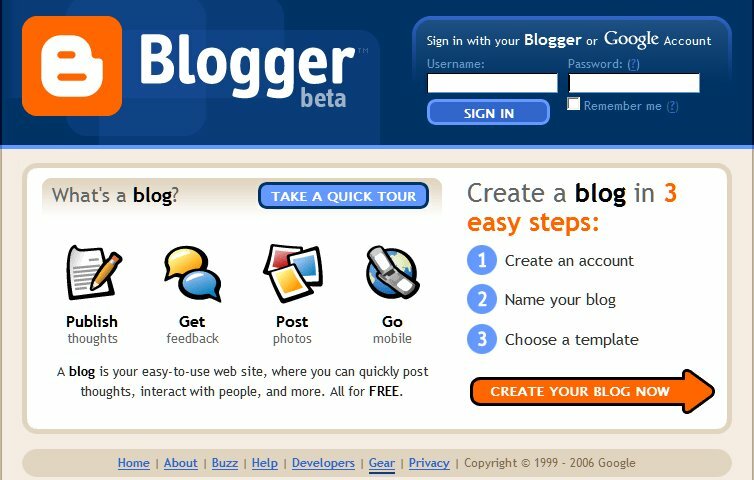 Remember the link to old Blogger is http://www.blogger.com/. Do not go there as it is soon to close down and everyone will have to migrate to Beta Blogger. Hence it is better to start with Beta Blogger itself. If you have a gmail account then you can use the same password here. If you do not have a Google account then you will be given an option to create one. This is the first step in creating a blog. After having created a Google account the second step is to Name your blog.Click on 'Continue' link. A new window opens which presents you with Step 2. -Name your Blog. First type in your blog address in the 'Blog Address (URL)' text box. If for example you have decided to do a blog on hiking then type in 'howtohike' without the quotes and then click on "Check Availability' link just below. This tells you if this address has already been taken by somebody else. If it has been taken then you have to type in a new address for eg. 'hikerbasecamp'. Repeat this process till you get an address which has not been used before. Use an address beginning with 'howto' because this makes it easier for the search engine to know your blog's subject quickly and your site will appear faster in their index. Next type in the Blog Title in the first Text Box. Here also use the same phrase but with spacing between the words. Do not use titles like "Welcome to my site' as these are redundant nowdays and will make your site more difficult to find. Lastly type in the Word Verification exactly as shown and click on 'Continue'. Word Verification ensures that there is a human creating this blog and not an automated software program. Hi there.... since I have been reading your site a lot, lately. I only thought it polite to leave a comment! I know how frustrating it can be to have a lot of hits and no comments! I really do have a question I can find no answer to in Google Help or Blogger or here. I have more than one google account. First issue: I want to move a blog from one acount to the other and delete it from the first account (it is a private blog). Second Issue: I wnat to move a very large blog from another blog program entirely to Blogger...... BUT I would like to set up another google account for this one. It is a commentary blog and I do not want my name to pop up unexpectedly in a search or any other way. Blogger will not let me do this. I have 2 e-mail addresses and have used both but I feel I want to be able to set up other accounts under these addresses. So what options do I have? Hope you can answer to the page. Thank you so much for the very useful information! I am a new blogger, so your site is much appreciated. I think I will frequently return to your blog as time permits, to discover various ways to maximize the use of my blog. If you do not want your name to come up in Google search do not include it anywhere on the blog.